The University of Utah men’s tennis team is preparing for a busy weekend at the Eccles Tennis Center. 45th ranked Boise State (4-2) will come to town to face the Utes (5-0) on Friday, February 7 at 5 p.m. MT. 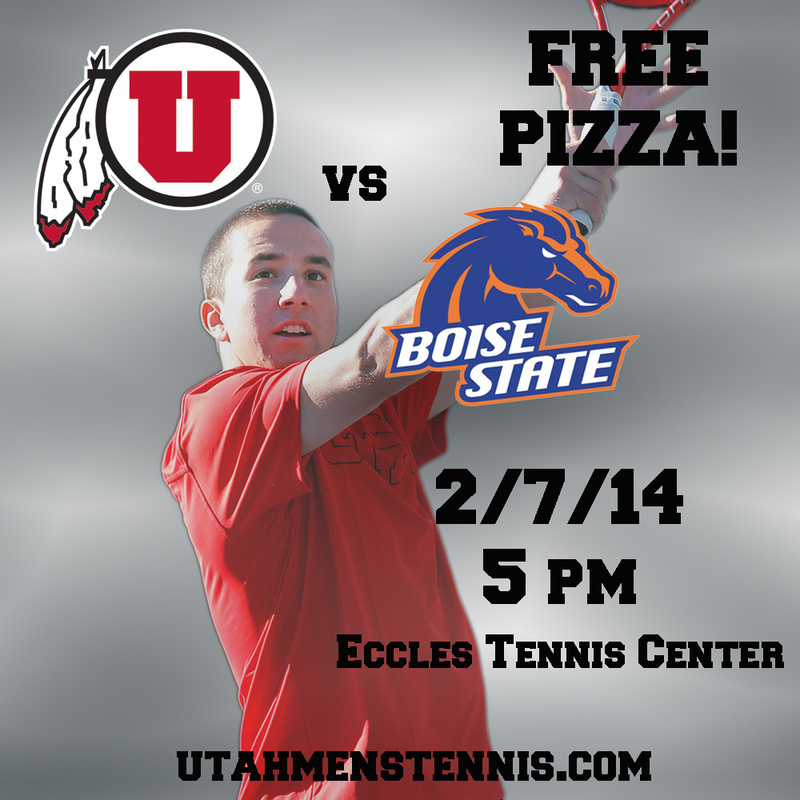 FREE PIZZA will be served to all Utah fans following doubles play! Utah looks to defeat the Broncos for the first time since 2008, when the Utes upset a 27th ranked Boise State squad. “It’s a great opportunity to play a strong Boise State team at home,” said assistant coach Roeland Brateanu. The Utes will hit the court again on Saturday, February 8, in a double header that will feature Utah State (2-4) and Seattle University (2-3). 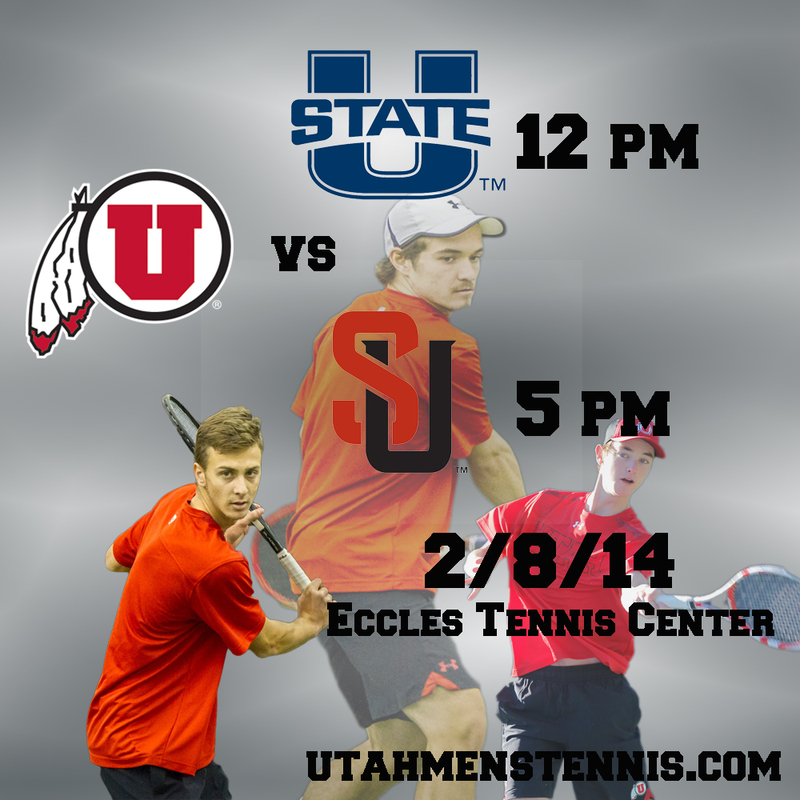 The Utes will open play against Utah State at 12 p.m. MT and finish the day against Seattle at 5 p.m. MT. Utah State will host Seattle on Friday. All matches will feature live scoring. If you can’t make it to a match this weekend, click here to follow it live. As always, admission and parking are free! This entry was posted in Schedule/Results and tagged Boise State, Eccles Tennis Center, Seattle, University of Utah, Utah State, Utah Tennis. Bookmark the permalink.